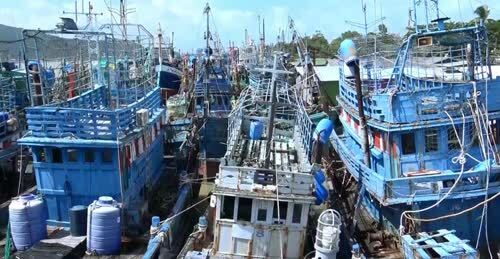 Songkhla – The cabinet has approved compensation payments for out-of-business fishing vessels. Songkhla Fishermen Association president Suradech Nilubon revealed the payouts for 24 legal trawlers which have gone out of business will be provided in a sum amounting to half the value of each of those boats. The scheme was first introduced in 2015 to provide the owners of legal fishing boats some cash to start up new occupations. The recently approved compensation will be provided to 305 fishing boats nationwide, 24 of which being registered in Songkhla. The payouts will be processed through responsible government agencies, who will contact the boat owners to discuss contractual conditions, payment methods, and the dismantling of their boats, which have gone out of businesses due to high operating costs and other problems.